Welcome back to READING DOWN THE HOUSE! I am just two months into this 14-month challenge, so there’s still lots of time to join in! I noticed that the number of books I bought, but had never read, was adding up. Rather than continue to buy and borrow more, I decided to pause and read what I owned. There were 17 books waiting for me, not including another 10 or so that I am reluctant to give up, but are very low priority! I set myself a goal to read the 17 in 14 months, from Nov 2013 to December 2014. I hoped to read 5 in 2013, and one a month for 2014 – without buying more! Here they are, along with the other bottom-of-the-list titles! Last month I read the first 2 of the 17: The Book Thief and Turtle Diary. In December, I read two more. 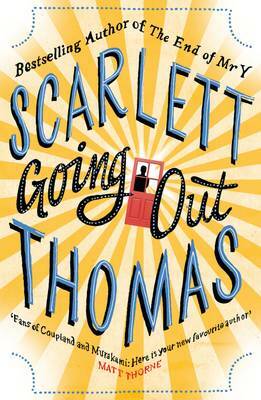 Going Out by Scarlett Thomas was a disappointment. After I finished it, I noticed it was originally published in 2002 and had been reprinted in 2012. It suddenly made sense. It was a turn-of-the-millennium book in the style of Douglas Coupland (who was name-checked in the book) and had the usual Coupland theme of “young people in existential angst in our modern age.” I generally dislike books written in the third person. This one, especially. I felt that the author explained everything through description and dialogue. Not one thing was insinuated or inferred. You were just told. There was a plot, and a wrap-up: I cared just enough to reach the end. If this author has written books you liked, be sure to let me know – otherwise she is off my list permanently! 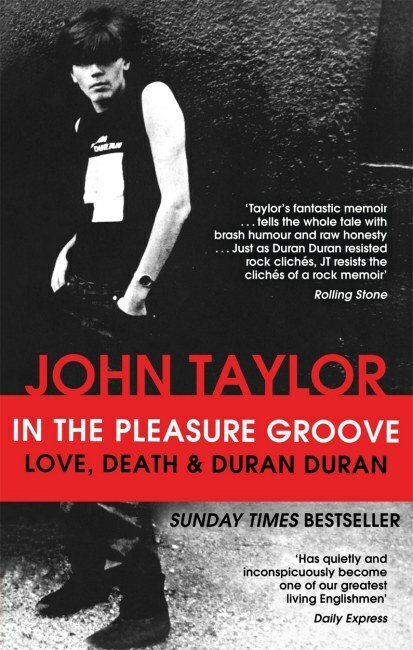 In the Pleasure Groove: Love, Death and Duran Duran – by John Taylor. When Duran Duran were at their peak in 1981-1984, I was a little past my pop star crushes so I didn’t want to be John Taylor’s girlfriend – I just wanted to be him, LOL! (I remember taking his photo to the hairdresser’s). I don’t know if was John Taylor or his (credited) ghost writer Tom Sykes who did such a good job on this book, but I read it in one sitting. As you can imagine, he followed the usual rock star trajectory of humble origins, fame and fortune, a downfall, and a new lease on life. I have read dozens upon dozens of rock star biographies. In fact, I took a break after reading Anthony Kiedis’s book a couple of years ago, thinking, “I just can’t keep reading self-indulgent rock star bios with the same old story.” I am so glad I made an exception for this one. It was clearly written with short chapters and wasn’t self-aggrandizing. I especially liked that he stated which of his musical efforts were not very good, in retrospect. He showed appreciation for his bandmates (except for the one conspicuously absent in the acknowledgements!) and knew when he was being insufferable. I also liked how he dropped in details about hair and fashion throughout the book, as if every rock star did that (they don’t!) If you never read pop star bios and want to try just one, this is it. I was hoping this book would rescue me from frowsiness. However, I didn’t like the tone. I guess I just don’t relate to moms and daughters who borrow from each other’s closets – not my experience, for sure (Link was a Goth, and then was a Guy, ha ha!) There were amusing “before” photos of 45-year-old moms who dressed like 75-year-olds. (That statement is prejudicial because I know some sharply dressed 75-year-olds). The daughters in the book were dressed far, far more conservatively than necessary for their age, perhaps in an effort to make their moms look better. I didn’t like the book, but at least it made me think about what I wear and what “ages” people. 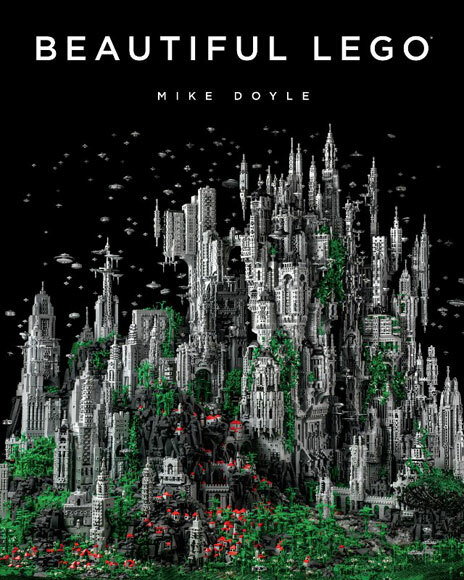 Finally, I looked through Beautiful LEGO by Mike Doyle, who had the talent and good fortune to grow up and become a LEGO master builder! He put together a collection of impressive LEGO models and artworks by many artists and builders. I liked that they weren’t all grandiose – some were cool because they were so tiny and concise. 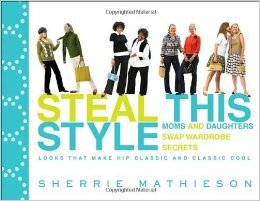 This book was a joy and would also make a great gift for a teen or adult! If you’ve been reading up the books in your house, please tell us about it in the comments and/or link to your latest blog post about reading! Still lean on for books in my house, and my few library books (Richard Branson ‘Screw Business as Usual, 1000 years of annoying the French and an economics one, whilst not started Street Sweeper by Pearlman) are going slowly. I mainly focused on Richard Branson’s but he’s all over the place (suppose it was good for interrupted reading over the holidays). I should have starte don the Street Sweeper, as it’s a novel and (possibly) likely to be more engaging. As from today’s post, the TV’s siren song held me fast and I read a lot less than I might have on other holidays (where I’m usually with more avid readers). I have hardly read at all in the last few weeks- working a lot, and sleeping a lot as I seem to be fighting off a cold. Work has settled down a bit now, so I should be able to get on with reading down the house! I haven’t been reading as much as usual, and have no excuse! My husband read The Hobbit to Mr. 9 last year (dedication!) He quite liked it but no…they did not go on to LOTR! That is a good question (re: orienteering, survival skills or geogaching.) I’m interested in all 3 to some extent, but I think mostly as a “survival skills” thing. I love hiking and really feel that I should know more about using a compass in case of trouble! It was a whole household read-down! I was going to join you in reading books that had been hanging around the house for a bit. Opps, got three new ones. The John Taylor autobiography sounds interesting. I was a Duran fan – in the second row when they played here when I was in high school. My advice to mothers with teenage girls – don’t wear their clothes. One word. Mutton. I too have a pile of books to be read. So big a pile that I stopped buying books because when I own them I never read them. I will stop putting any new books on hold at the library and start reading what I have. This will probably take me 14+ months to go through my collection as I have way too many. Thanks for the idea. I would love to hear how you do and what you read! You have such wide-ranging interests! You must be a font of information for your library patrons! Good luck on your challenge. The library patrons can usually tell when I’m bluffing, LOL! I am inspired to read more this year. I am such a voracious reader that I couldn’t bear to have a book in the house that I hadn’t read. It would be like knowing there was a box of my favourite chocolates in the bedside drawer – irresistible! I have to ration library visits so I have days in the week with no books, or I would simply get nothing done. It’s a terrible addiction, and I have no will power! I’m not sure if you know I’m a public librarian – no matter how much I want to read the books I buy, there is always something newer and shinier coming across my desk Every.Single.Day! So I put priority on library books that have waiting lists, and put a lower priority on books I own. For now, I have suspended my library borrowing to catch up on books at home. I must say it has felt tortuous sometimes to just let those new ones circulate to someone else! I wouldn’t mind being a master Lego builder, sounds like a good job!! I would love that, too! It’s funny, though – the author had to move to the LEGO headquarters in Billund, Denmark. He found the town very remote and isolating, and only stuck with it for a year!